OPML import and export is an integral part of any RSS reader software. It allows users to switch between readers in a breeze and don’t feel locked in at any moment. 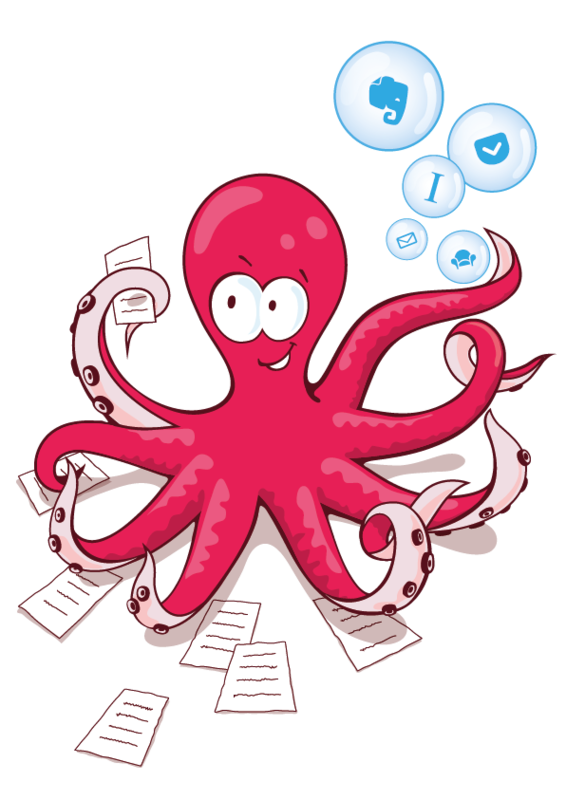 What happens when you import an OPML file inside your reader? You get a snapshot of the feeds in this file and that’s it. But there’s more to OPML than just one-time transferring of feeds. It can actually be used to link subscriptions between different services! That’s why today we are launching our new feature called OPML subscriptions. The idea is not new, credits goes to Dave Winer, who implemented this 12 years ago in a product called Radio Userland and later in subsequent products river2 and river3. 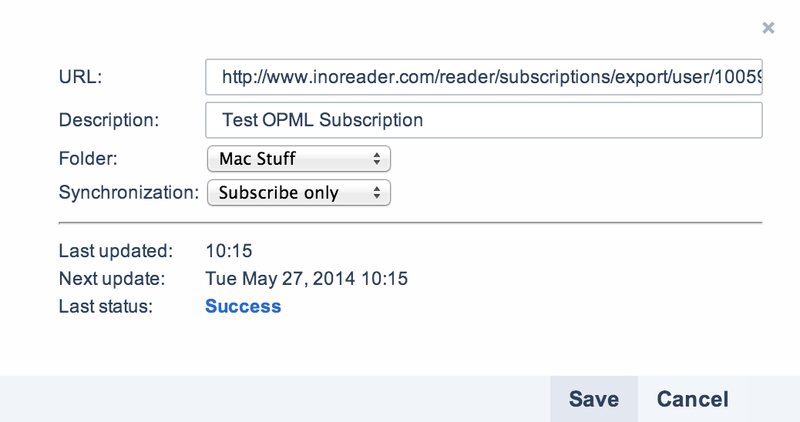 Basically you subscribe to an OPML URL just like you subscribe to regular RSS feeds. You have to assign a specific folder for the new subscriptions and choose the synchronisation type. It can be “Subscribe only”, which means that only new feeds will be added and removed feeds will not be touched, and “Full synchronisation”, which will automatically unsubscribe any feeds no longer available in the remote OPML. OPML subscriptions are available for all users. The only difference for Basic accounts is that files will be checked for updates once every 24 hours, while for Plus and Professional users, files will be checked every hour. There is of course an option for manual update. You can find the new feature by going to Preferences -> OPML subscriptions. New dashboard gadget called New articles. With it, you can list recent articles from a chosen feed, folder, or all of your subscriptions. 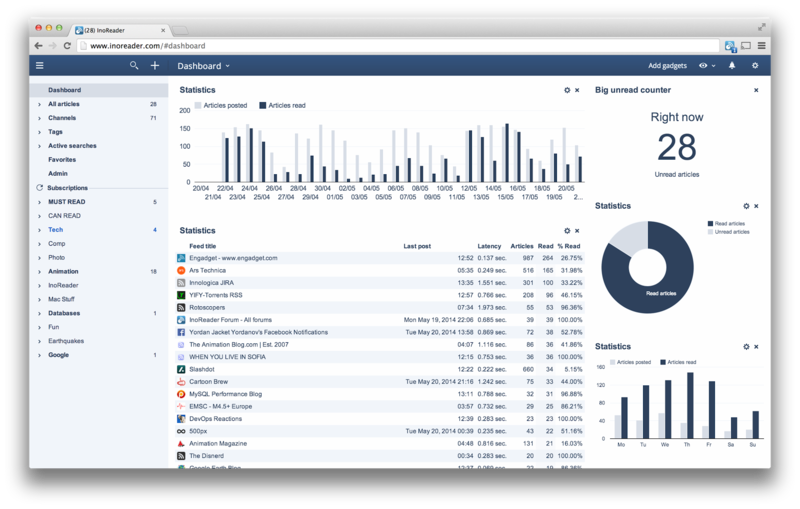 With the possibility to add many such gadgets, you can put your favorite feeds at the top of your dashboard. Dashboard gadgets can now be collapsed. Dashboard gadgets can now be deleted when dragging them to the top of the screen (a red area with a bin icon will appear). The X button is removed to help unclutter the screen. Notifications also have sound now.